Christmas in Nigeria is a huge celebration for all the citizens, not only those who belong to the Christian faith. A lot of people travel home to their villages and the families who remain in town, come together to celebrate and have fun. From long parties on Christmas eve to caroling, feasting, and gift-giving, high spirit celebrations abound all through the season. However, there are certain customs and traditions that are unique and now associated with Nigerians for the holiday. While some are sweet, others strike us as rather quirky. Jumia Travel, Africa’s No.1 online hotel booking portal has gathered up 5 of the favorite Christmas traditions from around the country. And if you totally relate to them or feel we left yours out, let us know in the comment section. No matter the tribe, religion or social status, Nigerians are known to go all out on shopping for the holidays, and most importantly, they select the most gorgeous of all apparels to wear on the 25th of December, the day marked out to celebrate the Christmas holiday. Some families go all out to make custom designs, identical fabrics or uniform colors for every single member of the family. In some areas, different families try to outdo each other by wearing elaborate styles when they go visiting on the day. It all adds to the holiday fun and excitement. The idea of Christmas rice has become a tradition in the country. You hear friend asking each other, “Where is my Christmas rice?” or making such comments as “I will visit you for my Christmas rice.” While the rice is can be prepared in a variety of ways- either jollof rice or fried rice, it is customary that rice is available for guests when they call on you for x-mas. The rice can be garnished with chicken, goat meat and combined with other appetizers or desserts, depending on what the family can afford. This is also the reason why some companies gift their workers with rice and oil prior to the holiday. Like most other countries of the world, Nigerians go all out with Christmas decorations. It does not only end with families putting up Christmas trees in their home and draping their windows with gold balls and strings of light. The major streets and boulevards are also decorated elaborately, and major shopping malls, as well as office buildings, sparkle with Christmas lights. People go further to exchange Christmas-themed cards with family members, friends, and colleagues, while some celebrities and public figures go all out on photo shoots for cards which they distribute to fans and supporters, all in the spirit of the holiday. Knock-out is the popular phrase Nigerians use for firecrackers and bangers. Almost every Nigerian pops some fireworks all through the 25th of December - Christmas day. It usually starts on the Christmas Eve. Some families actually make a ceremony out of it, making videos and posting online or on their family pages. Smaller children tend to take advantage of the custom to play pranks on passersby, throwing the firecracker around them while they least suspect it. The lights and rush of adrenalin that comes with the knock-outs is what makes the tradition so exciting. 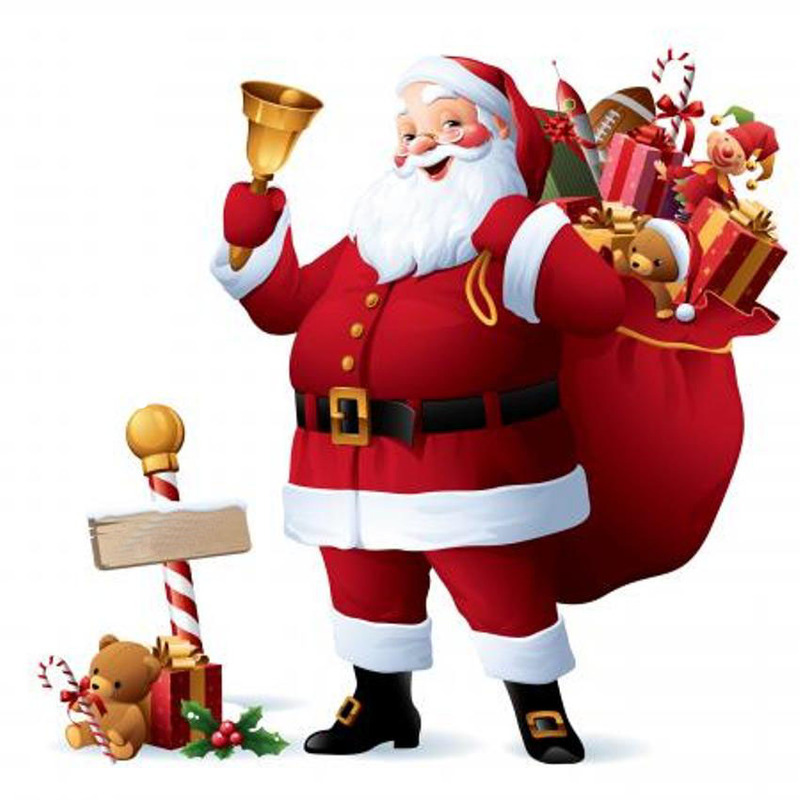 Originally, Nigerians expect only “father Christmas” to visit them on Christmas day with gifts and goodie bags. The idea of Santa only started creeping into the country in recent time from American media and citizens who have migrated into the country. Now, offices have ‘Secret Santa’ events where people exchange gifts, write Santa lists and families take their children dressed in new outfits to see Santa Claus. The good thing is that both concepts are the same, except for the mix up with names.